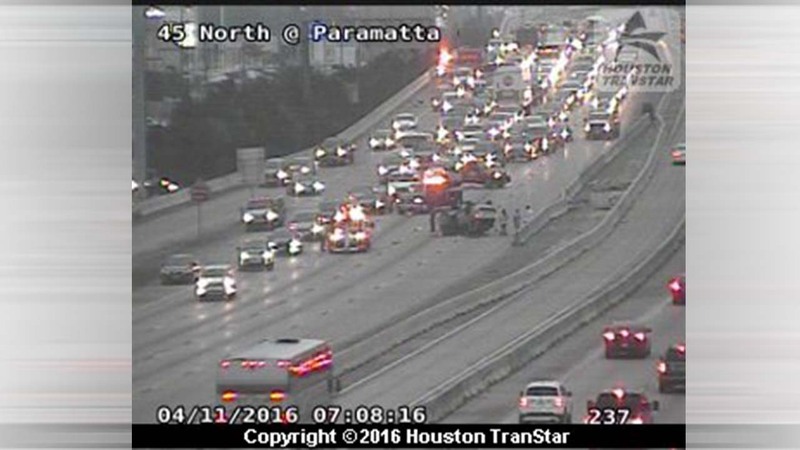 A three-vehicle crash had closed the North Freeway this morning northbound near FM-1960. Emergency crews were forcing everyone to exit the freeway onto the Parramatta exit. The roadway is now clear and traffic is moving freely. There is no word yet on whether anyone was hurt.